What is the Purpose of MSA Regulations? A Medical scheme is the public’s protection against the costs that illness and injury can bring. So to benefit from all that a medical aid offers, you need to pay monthly premiums. Then you will enjoy medical cover in private facilities. In exchange you can have access to private medical care, instead of having to rely on public health services. But all rule amendments of a medical scheme must be first registered and then approved by the Registrar of Medical Schemes. Then it is for the scheme to notify their members of such changes. What are MSA regulations about? The Medical Schemes Act (No 131 of 1998) came into effect on 1 January 2001. According to this Act there can’t be any discrimination on the grounds of the health of people. This means that a medical aid can’t turn someone away who wants to join because they’ve got an illness. That is because the patient might cost the medical aid too much. The Medical Schemes Act makes provision for the control of medical schemes – to protect the interests of members of medical schemes. These medical schemes help you to pay for your healthcare needs. Therefore, they protect you when you have to suddenly pay huge, unexpected medical costs. Importantly, these medical schemes of South Africa are non-profit organisations. They must register with the Council for Medical Schemes. Each of these medical schemes has to provide a minimum set of benefits to its members. A board of trustees manages each of the schemes. They are responsible for managing the scheme for the benefit of its members. There are also standard fees for people to join medical aid schemes. The Act has also made provision for a complaints procedure for people who have a complaint against a medical scheme in terms of irregularities with rates. Hospital cash plans pay an amount each time you’re in hospital. So without any guidelines for these kinds of medical services, we’d have medical schemes with hospital plans that don’t conform to any standards. The Medical Schemes Act of 1998 stipulates that medical schemes have to pay for the treatment of a certain list of conditions and procedures. These Prescribed Minimum Benefits (PMBs). To choose an appropriate medical scheme you need to ensure that the scheme complies with the Medical Schemes Act 131 of 1998 via official registration. Fortunately, the names and contact details of all registered schemes like Selfmed are published on the website of the Council for Medical Schemes. All information about benefits, contributions, waiting periods, exclusions and limitations must be requested from your medical schemes. Importatnly, if you opt to work through a broker ensure they are accredited by the Council for Medical Schemes. 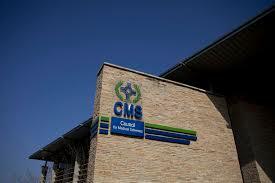 If you want to know about the financial status of the medical scheme you want to become a member of, reports are available in the Council’s Annual Report. In conclusion, ensure you have a good medical aid. An example is Selfmed which is a registered medical scheme that conforms to all the requirements of the Medical Schemes Act, plus they are innovative enough to come up with other options which make their scheme a must-have in the very expensive 21st century.